Monday morning at 10:35 am sounds like a time for a dentist appointment, not a hockey game. In hindsight, a root canal would have been a less painful experience. The Flames wrapped up the Young Stars Classic rookie tournament by getting worked 4-1 by the previously winless Jets,. Winnipeg outshot Calgary 35-10 and to be honest, it felt worse. "We were not ready to play," summed up defenceman Rasmus Andersson. 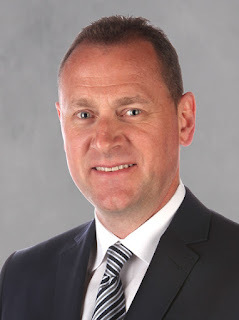 "In the second period, the first 10 minutes were terrible. We could not get the puck out of the zone." The only Flames goal came early. Dillon Dube with a nice shot, set up by Andersson and Spencer Foo. After that, two hours of poor slop. At least when you're at the Dentist, there's the anesthetic to reduce the pain. No such option on this morning. Calgary finishes a disappointing 1-2-0 in the four-team tournament. The only win was 6-2 over Vancouver on Sunday. The Flames fell 4-2 to Edmonton on Friday. "First impressions are important but so are the last ones. Today wasn't a great showing for us," said coach Ryan Huska. "You want the win but you want to play in a way that you can leave the rink feeling good about yourself and I don't think we had a great effort." In a task akin to the extraction of wisdom teeth, finding six post-game impressions on this day was a difficult and painful procedure. But up to the challenge, I rolled up the sleeves, got out the nitrous oxide and gave it a go. Matthew Phillips was held without a goal in the tournament and while he looked good in spurts, he didn't have the kind of impact offensively I thought he would. Everybody hopes he'll pan out because he's a real likeable kid from Calgary, but I thought his size disadvantage was exposed over the weekend. While he has lots of determination, it's difficult for a 155-pound player to squeeze past a 210-pound defenceman along the boards. I thought the opponents did a pretty good job of taking away his time and space. No matter how much he produces in the Western Hockey League, making the jump to the NHL one day and the size mismatches that he will face is going to be a real tough task for the 2016 sixth round pick. "I played pretty hard, I thought I skated pretty well and hopefully I showed some improvement from this time last year," Phillips said after today's game. "Overall, it was a pretty good weekend and there's definitely some positives to take out of it." Incremental improvement may have been there, but those positive strides will have to get bigger. I'd think one of the challenges was instability in linemates, even though Phillips himself would not use that as an excuse. The right winger was part of various trios over the weekend. On Monday, he even had his line change halfway through when Huska tried re-uniting pals Phillips and Dube together alongside Foo in a failed attempt to spark the team. "You expect that coming to camps like this. There are a lot of good players. When things do bounce around, odds are you're going to get a pretty good player on your line regardless," Phillips said. As a 1998 year-of-birth, Phillips cannot be assigned to the AHL yet so once his run in main camp concludes, he'll be on a plane back to Victoria where he'll look to build upon last year's 50-goal season. Building up his strength will continue to be part of his development. 2. Is that the Ogopogo? No, It's Mason McDonald! I don't think it's inaccurate to suggest that as of today, Mason McDonald has fallen to No. 7 on the organization's goaltending depth chart. Man, that's a long way down. There's Mike Smith and Eddie Lack in the NHL. Jon Gillies and David Rittich in the AHL. Tyler Parsons is viewed as arguably the team's top prospect. So that's five, for sure, who are in front of him. I'd then defer to the goalie usage this weekend. There was the high-profile Sunday game against the host Vancouver Canucks. Big crowd, fans still in town for the weekend. Then there was today's sleepy finale in which Calgary rested some of their top players and the barren seating bowl consisted of mostly player's families. What I would glean from the decision to give Schneider the tap on Sunday is that he's viewed as the better option, which leaves McDonald in the cellar. Thus, I thought we were going to have quite a story on our hands as McDonald, in a rare sighting, stopped the first 9 or 10 shots and looked pretty solid in the early going. But then the first goal eluded him. Then there was another that looked bad when he kind of kicked it into his own net after losing it under his pad. In the end, three goals against on 34 shots is not bad, but will it be enough to change minds and get him any game action come the preseason when that gets underway? I doubt it. There just aren't enough games and there are too many other goalies in need of playing time. For McDonald, this year sets up to be a grind. 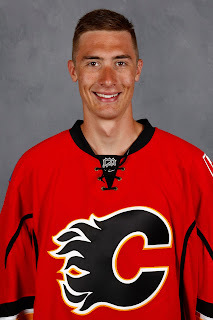 Assuming he ends up back in the ECHL and likely as a back-up to Parsons (and possibly as part of a three-goalie situation due to the Kansas City Mavericks having a goalie under contract already), he'll have to make the most of his limited starts and will need to string together some real good results to get himself back into the goalie mix. I love weekday morning hockey. I play at 7 a.m. twice a week and everybody goes to work afterwards. It's a great time to play as it doesn't interfere with anything. But then again, I'm in a league of guys in their 40s and 50s. This isn't exactly the best comparison. If you're wearing NHL jerseys and you're playing a game mid-morning on a weekday, that just seems dumb. I understand that with the teams anxious to fly back home, there are limited options but for hockey players, that start time completely messes with their normal routine that has been ingrained in them for years. "We're used to playing night games," admits Phillips. "It's not too often that you get a 10:30 am start after a 2 pm start. You don't want to make any excuses, but it's different for sure. You try to prepare the same way but obviously, there's a bit less hours between games." The mostly vacant rink wasn't exactly dripping with atmosphere either so if the team was banking on the crowd getting them going, not so much was that going to happen. The Flames best line in games 1 and 2 featured Mark Jankowski in the middle of Andrew Mangiapane and Foo. They were dominant at times and Jankowski, for me, was Calgary's best player all weekend. 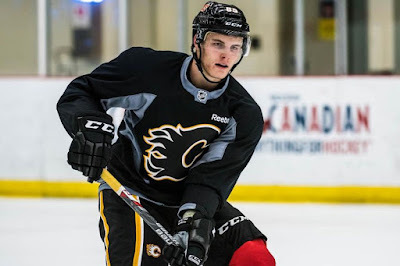 But with the 22-year-old preparing to push for an NHL spot when main camp opens with fitness testing on Thursday, he was rested on Monday with Mangiapane also getting the day off. The absence of those two not only removed two of the team's most dynamic offensive weapons out of the line-up, but it also resulted in line shuffling for everyone else. Huska even got out his own line blender halfway through the game, but in the end, there was no magic to be found. Some fans were wondering why they would take out Jankowski. Well, Flames coach Glen Gulutzan is a big fan and you know he'll be getting a bunch of preseason games coming up. Resting him for that is a fair decision. Two years ago, Swift Current (WHL) centre Glenn Gawdin was selected in the 4th round of the NHL draft by St. Louis. It was a huge moment and one of elation. Two years later and after accruing all sorts of Blues paraphernalia at the team's various camps, St. Louis opted not to sign the 20-year-old so on July 1, he became a free agent. Do you ever wonder in those circumstances what a player does with all that team-branded stuff? "Let's just say a bunch of my friends ended up with a bunch of gear," Gawdin told me on the weekend, noting that offloading process happens very quickly. Now Gawdin is accruing Flames gear. 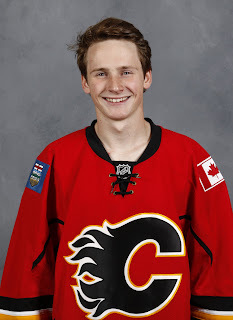 A target of Calgary's scouting staff dating back to his draft year (he thought he had a great interview with the Flames at the combine), first he was contacted and invited to development camp. Today he played his third game in Penticton and when you get into all of three games, it's usually a sign of genuine interest by the team. In Jankowski's absence, Gawdin began this game with Foo on the right side and Dube on his left. It was two pretty talented scorers and one would have thought he was really set up for success. But alas, the entire team played bad and that line was broken up. What's next for Gawdin, who for me was still the best of the invitees? We'll wait and see. He hopes to get an invite to main camp, which hits the ice starting on Friday. For background, there are a couple contributing factors that may have gone into him not being inked by St. Louis. For one, he was injured a lot. Two years ago, torn ligament in his wrist and then right after that, a torn LCL. Last year in his first shift of his first game after being named the Broncos captain, he separated his AC joint. That cost him another six weeks. Over those two years where the Blues were closely monitoring him, he missed 40-plus games due to injury. "If I was healthy, it might have been a different situation, who knows," says Gawdin, feeling he wasn't able to show his best form due to the injury setbacks. There is also a logistical issue with St. Louis. Sharing an AHL team this year with Vegas, the Blues have less spots for minor league players. Also, it's been speculated that their overall contract count may have been a concern. Eligible to return to the WHL for his over-age season, that could be what's next for Gawdin. Or, perhaps Calgary inks him to an AHL deal. Other than today when most of the team struggled, I liked what he brought all weekend. 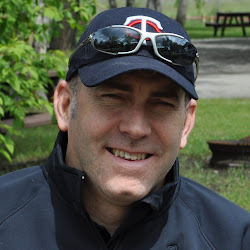 With an honourable mention to Brad Morrison, I thought he showed the best of the non-organization players in attendance. In a game where not much was happening, you still had a regular occurrence of glass-rattling hits delivered by Josh Healey. 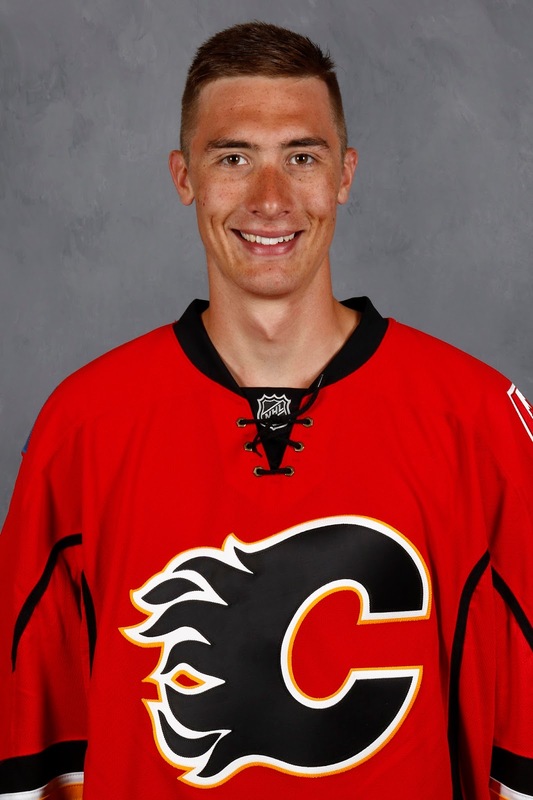 Healey is the Ohio State defenceman, who signed with the Flames as a free agent in the spring after graduating. After a rocky game one in which he made a few miscues and admitted it afterwards, the rest of the tournament went pretty well for Healey. Although it was a statistic not tracked, I can guarantee he led the Flames in hits over the three games and it wouldn't have been close. "For me, I play a physical style of game and that's what I tried to bring out here today," Healey said. "I'm in a good position. I've cleaned up some of the mistakes that I made earlier in the tournament and now, playing with the big boys is a whole new game so I'll be ready and focused for next time my name is called." Not an overly big guy at a sturdy 6-foot-0 and 195 pounds, he's got the technique for delivering a bodycheck absolutely mastered. He puts a lot of torque into it and by that, I mean a lot. He hits hard, he hits often and you can tell by the smile on his face when he talks about it, he thrives in that area of the game. 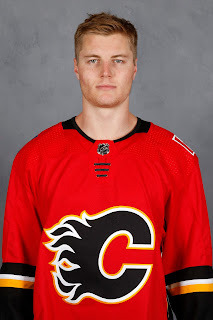 Healey is going to be a fan favourite in Stockton, assuming that's where he begins, and you know there are people in the Flames front office salivating over the prospect of seeing him bring that nasty streak to the NHL club some day. It was a successful camp for Healey and a good start to his pro career. Darren: From what you saw; do you think any of the invites other than Gawdin get invites to main camp? It was an awful game to watch, but some of the credit has to go to the Jets. I thought MM looked fine in net and he put in a better performance than Tyler Parsons (my opinion), but you are probably right, McDonald is at a disadvantage, now.